Cruise with us to or from Poughkeepsie! Sundays Aug 27, Sept 10 & October 22 – Join us for both the north and south bound cruise or use AMTRAK for the first or second leg of your journey. Each date is scheduled alongside fantastic programming at the Dutchess County Fairgrounds in Rhinebeck (Use AMTRAK & a car service). A full Brunch is served on our North-bound cruise and a ‘Hudson Valley’ – inspired dinner is served on our South-bound journey. Our dock at the Poughkeepsie Ice house is just minutes from the Walk Way over the Hudson. This full day adventure in the Hudson River Valley is a one-way ticket that starts off on the Yacht Manhattan. 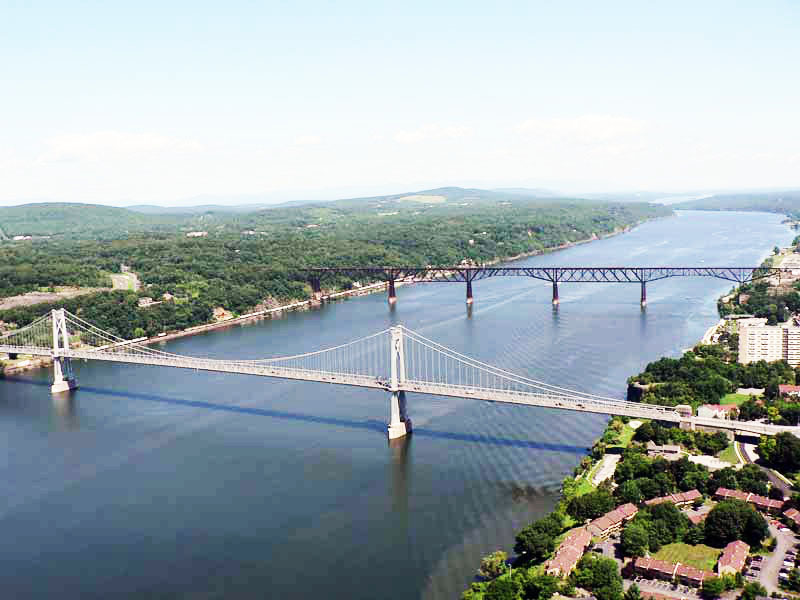 Take the beautiful journey north on the grand Hudson River and escape the city for a day (or two). Once you arrive in Poughkeepsie, choose from our suggested special events associated with each date or suggested activities to explore Duchess County. “This Cruise can be purchased at a reduced rate excluding food at $116. To obtain these tickets call 212.627.1825 Opt 4″. This Cruise from Poughkeepsie to NYC is a one-way ticket with a Hudson River Valley inspired dinner. It is a great option Duchess County locals to have epic way to travel to NYC or for NYC residents to return to NYC after a full day of upstate fun! 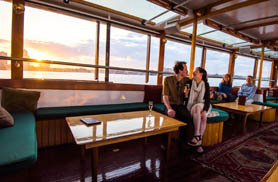 Take the beautiful journey south from Poughkeepsie on the grand Hudson River, and take in the sites as the day turns to night and you enjoy a special dinner prepared by our onboard chef. Comments Off on Cruise with us to or from Poughkeepsie!